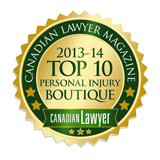 In Canada, class proceedings involving defective products form a large proportion of class action lawsuits. 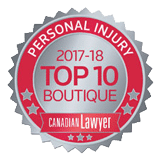 Over the years many class actions involving faulty products, warranty breaches and improper labelling have been filed in most provinces in Canada. While some of the lawsuits are mundane and do not deal with serious problems, a number of other cases involve severe issues that have the potential to cause significant harm to users of a specific product, known legally as members of the “class” in a particular class action lawsuit. For example, litigation against a number of car manufacturers has been initiated which seeks damages for potentially life-threatening incidents caused by the poor construction of automobiles. Many car designers, such as BMW and Toyota, have been named as defendants in class actions. Unintentional deployment of air bags, sudden acceleration and other issues have not only required recalls but also caused injury and harm to operators and passengers of motor vehicles. Improperly designed appliances have also been the subject of litigation on a class proceeding basis. Washers, dryers, televisions, computers and numerous other items that individuals use as part of their daily routine many times do not meet safety standards. While these devices may not cause personal injury or harm to people, they can still cause financial loss and inconvenience. When someone purchases a product, he or she expects that it will live up to its advertising and perform correctly. Product defects can also be found in medical devices, such as heart valves or hip replacements. Replacing an implanted defective medical device can require an individual to undergo painful extraction and second implant surgery, which may cause further health problems, pain and suffering and other harm. Wagners is currently involved in litigation against a number of manufacturers of replacement hip devices, such as DePuy and Wright Technologies as well as the recent class action involving the Mirena IUD birth control device. Actions against these manufacturers have been commenced in various provinces, including Nova Scotia.